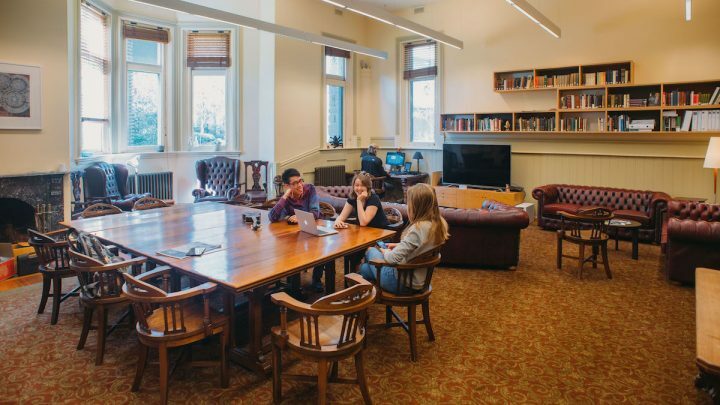 Our Graduate precinct is located in our beautiful, park like campus and offers different configurations of accommodation in our heritage houses, architect- designed apartments with views over the city and our new Graduate Centre. 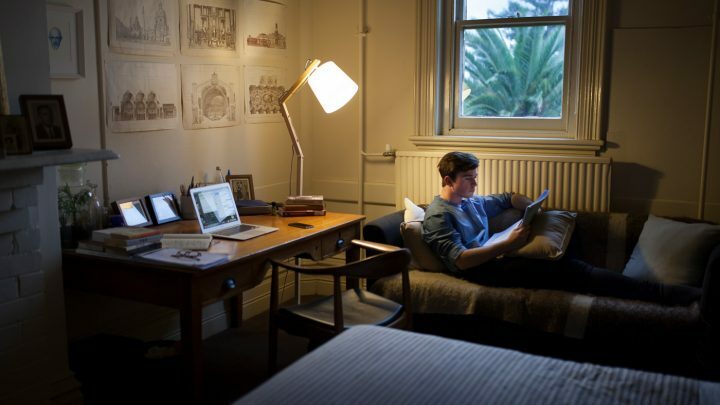 Graduate students live in graduate-specific accommodation in a number of areas of the College. The accommodation concept for most graduates is a personal study and rest space adjoining a communal living area. A typical living space features a lounge, dining, kitchen, bathroom and laundry facilities shared between 3 – 6 graduates. Subject to availability, there are a number of other configurations, including rooms without kitchen facilities, and self- contained apartments for students wanting additional space or with long-term partners. Standard room features a bed (queen or double depending on the room), a pillow and a mattress protector, bookshelf, wardrobe, desk, desk chair and heating. Bathrooms, which are unisex, are shared on a shower-to-student ratio of about 1:4. New Graduate Centre ensuite rooms features ensuite bedrooms with flexible floor plans for you to configure to suit your needs. 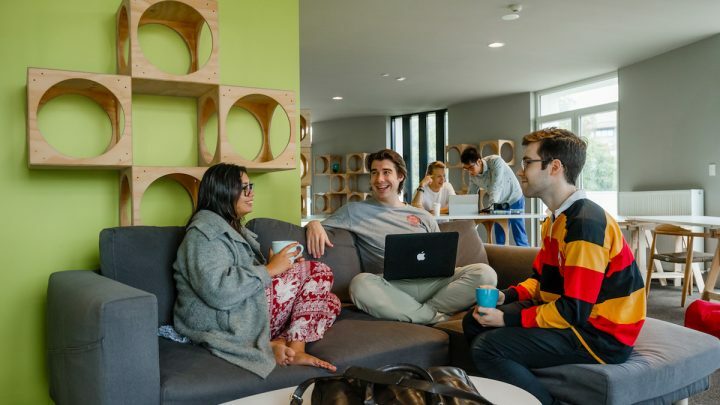 The common spaces are designed to facilitate connecting with your fellow graduates – these include a shared kitchen, large lounge and balconies with views over the College, city and park. 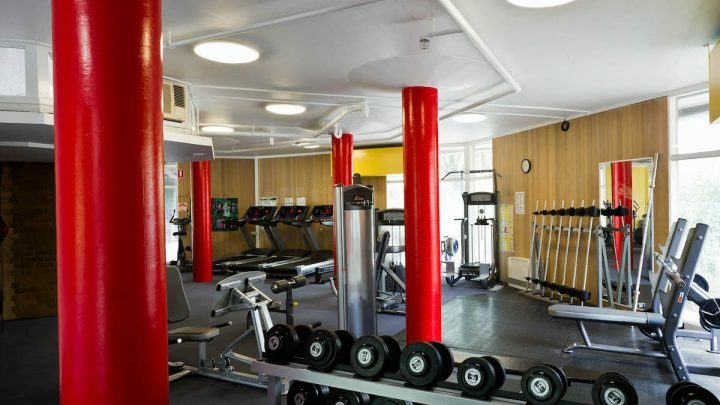 The campus has unlimited wireless internet which is charged at $130 per semester. Your room is allocated to you in the first year, but in later years you are able to indicate a preference for a particular room, or rooms. It’s a place for great conversations, meeting new people, and delicious meals. Eat delicious meals and sit next to someone new everyday to have the true Ormond experience. Two nights a week we host ‘formal hall’. 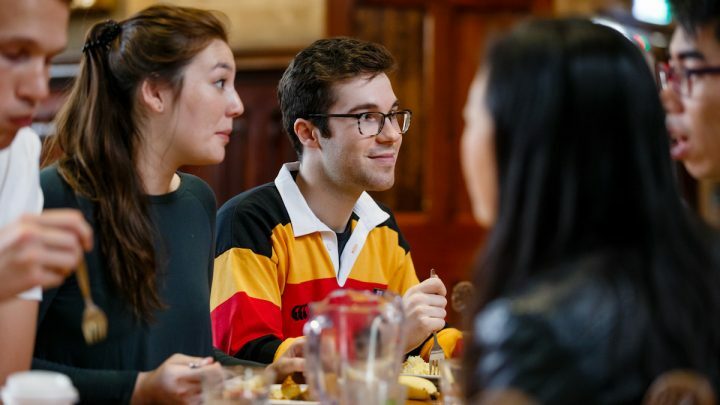 An time-honoured tradition of wearing academic gowns and table service. Breakfast includes cereals, toast, fruit, porridge during winter and a full cooked breakfast twice weekly. Lunch includes a self-service sandwich bar as well as hot options. On Sundays, we serve an extremely popular brunch. We cater for vegetarian, vegan and gluten-free diets. Prospective students should discuss any special requirements or combinations of requirements that they may have during their selection interview. 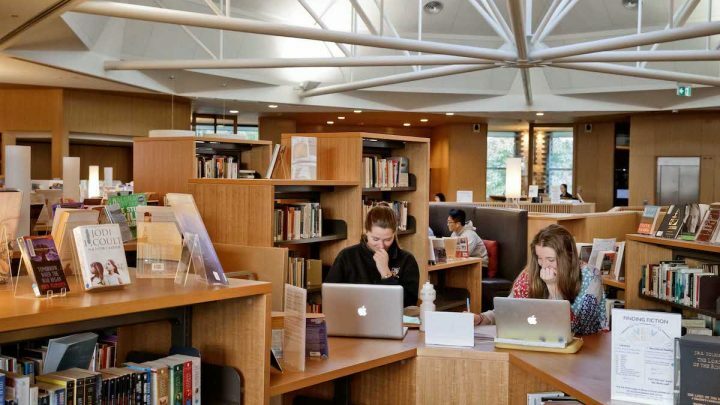 When it comes to social spaces, Ormond graduates are spoilt for choice. Middle Common Room (MCR): the MCR is a heritage space that provides a great environment for our graduates to socialise and relax. Cafe: serves coffee and light snacks during the day and in the evening transforms into a relaxed bar, offering wine by the glass and a number of beers on tap. As well as a performance area for mic nights and live entertainment. Laundry: Shared coin-operated washing machines and driers are located on the floors of each building. You purchase your own washing powder.